Jasmine has a unique fragrance that provides an enthusiastic aroma. The sweet and sensuous aroma of Jasmine always manages to immediately lift your mood. Its delectable scent has capability to instantly gratify your spirits. Jasmine in night is absolutely feminine and provides floral aroma that's simply seductive! Numerous studies have found that sweet-smelling jasmine may help lift mood and ease stress. The essential oil of Jasmine does more than just smell exquisite - it deeply relaxes, lifts depression and boosts confidence, eases childbirth, helps with sexual problems, soothes coughing and tones and improves skin elasticity, while helping to reduce stretch marks and scars. Jasmine is a scent that almost everyone loves, and which in its natural form can be enjoyed by anyone. 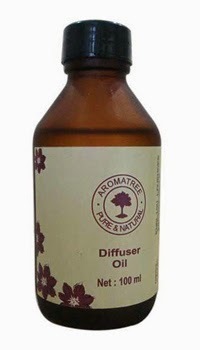 Aromatree offers Jasmine Air Freshener Spray and Jasmine Aroma Oil.